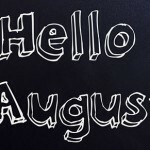 While sales and deals are happening all the time across America’s vast sea of online retailers, some particular days on the US calendar are special. On some days, it seems like all the retailers get together and decide to compete for your attention and your money by trying put on the biggest sale. 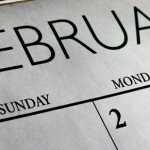 It can be helpful to know what days these are so you can plan ahead to get the best deal possible. So grab a pen and get ready to mark your calendars because we are about to run down America’s biggest sale days of the year. If you’re not too hungover from the night before, New Year’s Day can be a great opportunity to score some excellent discounts. 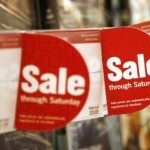 This is when retailers will be trying to get rid of their leftover pre-holiday stock. Items on which you’re likely to see the biggest discounts include winter clothing, as well as New Year’s resolution items like exercise equipment. Didn’t get what you wanted for Valentine’s Day? Treat yourself at a sweet discount by going shopping on President’s Day. On the 3rd Monday of February, you can find even steeper discounts on Winter clothing as retailers try to clear out their inventory for Spring wares, and there are often some great deals to be had on TVs as well if you’re not about to wait until cyber Monday. Memorial Day is a day for Americans to remember those who died fighting for their country’s military, but that doesn’t stop retailers from associating some sales with it. The best deals to be found on this day include deals on spring clothing and mattresses. 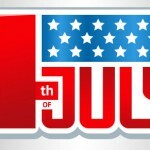 Independence Day (aka the 4th of July) is America’s birthday. It is a long weekend in the states and pretty much every retailer is pulling out all the stops to get people to spend their day off shopping. You are likely to find great deals on office supplies, laptops and other deals from retailers keen on getting that back-to-school money early. Air conditioners also get heavily discounted in this time as well. Labor Day is a day to celebrate the achievements of American workers… by giving them hefty discounts. On this day, you can usually find the best discounts on back-to-school items. You can also get great deals on summer items like grills and outdoor equipment as the season is winding down and retailers are keen to move their summer stock. Columbus Day is not met with as much cultural fanfare as the other days on this list, but it certainly has its fair share of sales. Columbus day shoppers can enjoy especially good discounts on jeans, patio furniture and camping equipment. Black Friday kicks off the holiday shopping season with a huge bang. It is one of the biggest shopping days of the year and virtually every retailer goes all out to get the masses of shoppers to come to their stores. On Black Friday you can find great discounts on practically anything. The occasion has gotten so big that some stores will hold black Friday sales for the entire month of November. Cyber Monday is the internet’s version of Black Friday. While you can still find great deals online on Black Friday, Cyber Monday has been designated as the day when online retailers pull out all the stops with discounts. 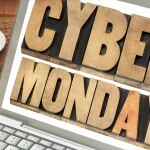 If you like shopping online and plan to only take advantage of one sale day a year, Cyber Monday should be it. Like Black Friday, Cyber Monday has ballooned since its inception, with retailers often holding Cyber Monday sales for the entire week of Cyber Monday.